Like any sportsmen, martial artists are subject to injuries, often many times over the course of a career. Taekwondo injuries can vary from breaks, tears and dislocations to nagging and persistent troubles like chronic muscle and joint pain. Even the heroes that adorn children’s bedroom walls like champion Steven Lopez are not immune to injuries ranging from everyday occurrences like lower leg muscle pain to severe injuries that can diminish the hopes of future competition. Over the course of long careers, athletes are regularly finding themselves in rehabilitation programs, generally focusing on exercise and strength training in order to fully regain function lost during injury. Rehabilitation techniques can vary wildly because martial artists use every part of their body constantly. Surgery is sometimes a requirement for taekwondo injuries. But, for those who are trying to put off a surgery as Lopez has done in the past to avoid having to skip a competition; or, others who want to continue forward without surgical means to avoid the long term effects that it could potentially cause, there are other options available. These options, often provided at elite sports therapy clinics, can provide treatment options for those intending to delay surgery, those seeking rehabilitation and those looking for post-performance recovery help. Cryotherapy has become more commonplace lately, with well known pros from teams like the Nets using chambers regularly post games. Players note that whole body cryotherapy helps them recover quickly following their intense gameplay and helps them feel better after the physical exertion of a game. This same technology is being used in many places for things like taekwondo injuries. Anyone who has ever watched competitive martial arts can easily understand how physically intense the sport is and how susceptible to injury the participants truly are. Taekwondo kicks, for instance, not only can cause injury to the muscles and bones in the legs during the action of kicking but also when the kick makes contact with an opponent. But, taekwondo injuries are not limited to the spinning, thrusting legs of the martial artist. The head, neck, arms, shoulders and torso can all also be affected, too. Lopez is no stranger to these types of taekwondo injuries and at one time had to make a tough decision regarding one. A shoulder injury threatened to prevent him from competing once, prompting him to delay a surgery as a result. At one point, following an injury, Lopez did not engage immediately in rehabilitative therapy because he had been told that he might not ever be able to fight again. However, after some time and a very extreme multi-month physiotherapy treatment program, Lopez again returned to fight. 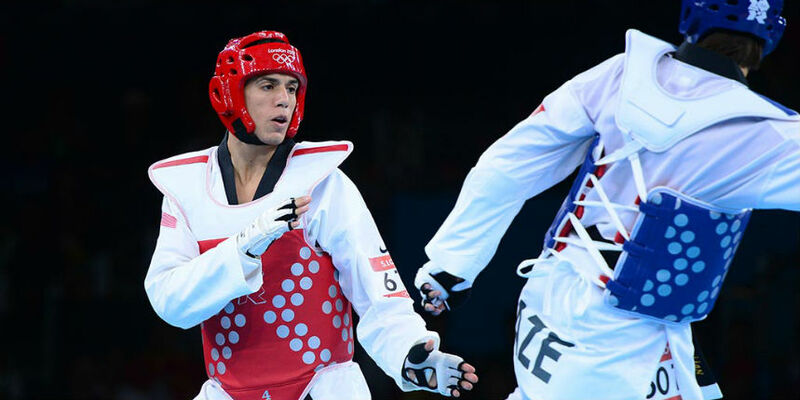 Steven Lopez has had to make some tough decisions regarding his taekwondo injuries throughout his career, tending to lean towards whichever options get him back into competition the quickest. But, he’s remained dedicated to overall boy health to prevent injuries and rehabilitative therapy when necessary. Other martial artists are taking note and participating in revolutionary therapy options like cryotherapy for numerous reasons. Like the famous Nets, some up and coming fighters have found that the benefits of cryotherapy for recovery post-performance are unmatched. While others claim that it helps to reduce the neck and upper back pain that just comes with regular, intense physical performance. Some use cryotherapy for taekwondo injuries, where the healing benefits of the revolutionary cold technology may help to actually help repair damage. Chilling the skin rapidly and externally sets off a whole host of biological processes including the release of chemicals like endorphins and pain relieving anti-inflammatory agents. It’s these characteristics that have made the practice popular amongst athletes of all sports, whether they’re looking for a non-invasive knee pain treatment to help keep them in the game or are simply looking to feel invigorated after a match. Our Cryotherapy Toronto center offers a variety of cryo packages or pay-as-you-go options, and is trusted by professional and amateur athletes. As the landscape of competitive sports changes, the nature of injuries and their treatments will undoubtedly change as well. As modern medicine advances, athletes suffering from taekwondo injuries will continue to find new and exciting treatment options available to them. Interestingly enough, treating pain and inflammation with cold is a practice that has persisted for millennia. It’s perhaps surprising then, that it has taken this long for modern medicine to catch up and provide a way to really maximize the benefits of this ancient practice. Even some hospitals are electing to house cryotherapy chambers, noting their use in recovery, pain management and and often overlooked benefit – a reduction in the use of anti inflammatory and pain relieving medication. Taekwondo injuries are very diverse and can be affected by many things including the physical condition of the injured person. Today’s modern athletes are finding that medical advances are helping them recover faster, heal faster and even reduce the need for medications in some cases helping to keep athletes in the game.